Alongside our Pressure Washing we also offer a Gutter Cleaning Service. How Do We Clean Your Gutters? We clean gutters using our ground based high powered vacuum system, 30ft gutter cleaning poles and live camera inspection feed we are able to clean and unblock many gutters on residential or commercial property's. The advantage of our floor based vacuum system is not only are we able to show our customers exactly what is in their guttering via our wireless camera, we are also able to reach all gutters and over conservatories, porch roofs and ground floor extensions safely from the ground with no need for ladders being dragged up and against the property. Our gutter cleaning service ensures all moss and general debris build up is cleared away so that your gutters are fully functional again. 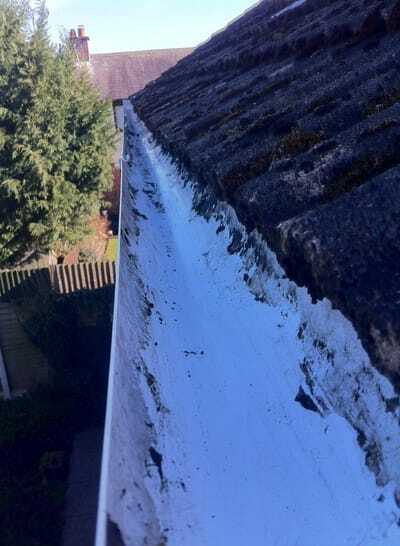 Unlike other gutter cleaning company's who literally remove the muck out of the guttering and are done, we take time to carry out a water check which ensures there are no leaks present and the downpipes aren't blocked, we also remove all bends on your downpipes as 90% of the time debris finds its way down the downpipe if gutter guards aren't present. How Often Should My Gutters Be Cleaned? We believe and advise people to have their gutters cleaned at least once every year. 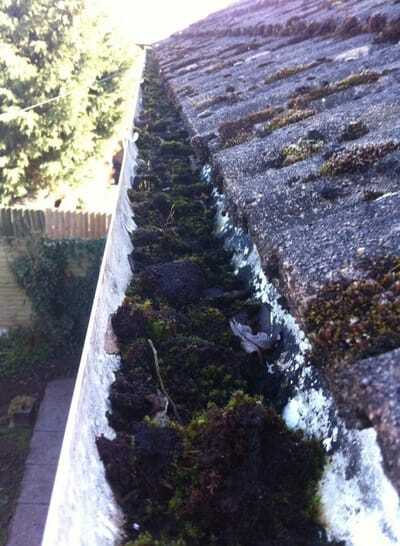 Moss, leaves, debris and general dirt build up can leave your gutters blocked which can then lead to overflowing water which will cause damage to both the gutters and the property itself. "We haven't had our gutters cleaned since moving in 3 years ago - the guys cleaned them brilliantly! Super friendly and professional. I will be sharing and recommending you via my Facebook to everyone! Thank you so much! " "Excellent quote for gutter cleaning. Dan is a great guy who did a brilliant job including sorting out our leaking gutter joints. Would recommend to anyone." Gutter Cleaning Service covering Cannock, Stafford, Telford, Wolverhampton along with many other areas in Staffordshire, Shropshire and the West Midlands.